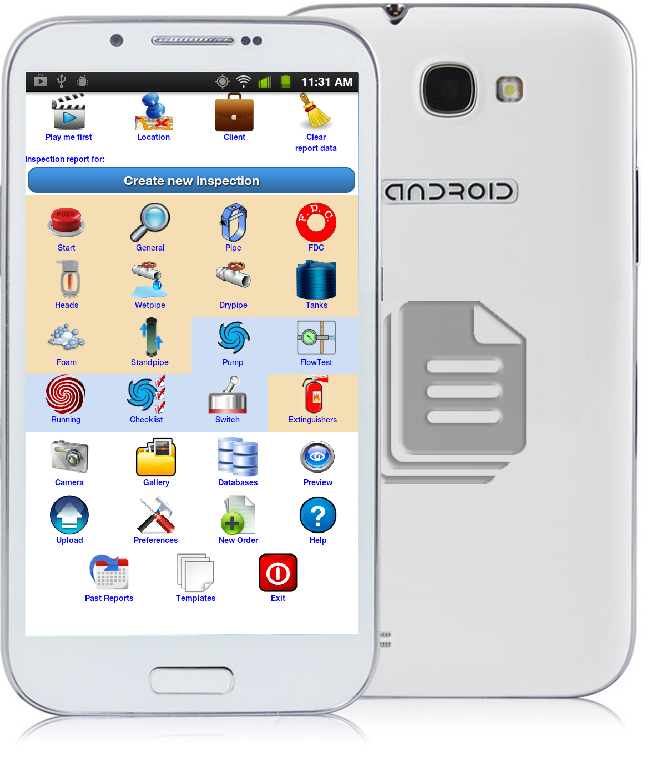 We are studying a pilot program that will provide Android smartphones to our users for no additional cost. We have received a number of calls and emails inquiring as to what we think is the best device for use in the field. There are a ton of things to consider and Android-powered devices come with a wide variation of features. At one point we considered offering ones we felt were a good fit on our site, but selling Android devices to the open market is a whole other deal as we would have to support non user purchases. We’d rather leave that to Best Buy. But that still doesn't answer the question and it isn't an easy one. Not only do we have to look at the functionality we have currently but what we are planning to add and what some companies from this industry have already requested. There is also weird stuff, for example, some camera software will reference the gravity sensor to establish the height and width of a photo and some don’t. So what winds up happening is that the devices that do will always have the photo oriented correctly in a report and the others won’t. Then an upgrade will come or the user will install additional camera software which will reference the sensor. Get the picture? With all things considered we have come to a rather surprising conclusion. We think it may make more economical sense for us to supply Android devices to our users at no additional cost and support these units rather than try and support the sea of variations of Android OS versions and software that are out there now and to come. Our app will still work on most units of which we will continue to support, but it also means those who have borrowed their daughters Kindle Fire will have an option. What this also means is that a company with multiple inspectors aren't faced with the cost of replacing all their phones. You have just found the most comprehensive Fire Sprinkler inspection software. 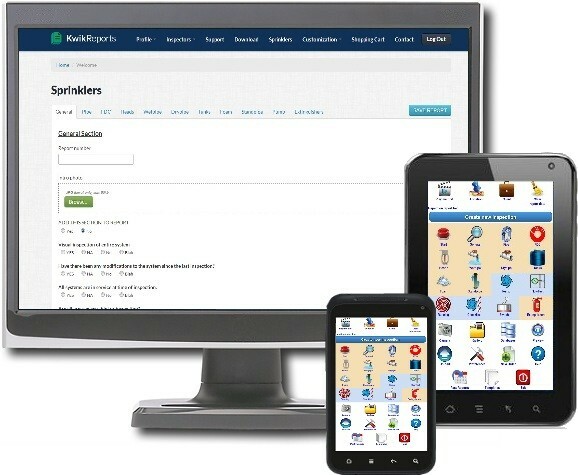 Whether you are comparing a PC based OR a mobile device accessing a website site, you will find KwikReports the most effective tool for your inspection reporting. Fully mobile meaning OFFLINE - yes you read that right. You do not need a data connection to enter your report information. Limited to no Typing! - How? We have utilized the synchronization of your online report customizable response options to your mobile device while implementing automatic population of your selected report items. We start you off with hundreds of narrative code referenced deficiency database items which are fully customizable within your online account all accessed with a 3 tap “drill down” interface. LEAVE THE CLIPBOARD IN THE TRUCK!! Your note taking just became your report writing. 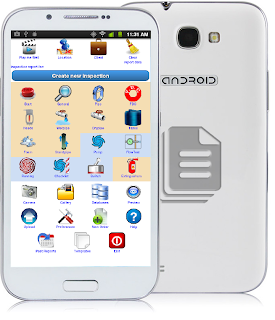 After you have completed a report NEVER write that report again as your mobile device will store up to 30,000 reports on a standard sd card and can be recalled or cloned at a moment’s notice and YES, with NO DATA connection. No credit card required to get fully set up and reviewing report data. Also our mobile app is AD FREE . Click to create an account.